EDITOR'S NOTE: An earlier version of this story understated GM Canada’s second quarter sales, which were 89,248. DETROIT -- While its sales soared in Canada, General Motors said its net income dropped 42 per cent to USD $1.66 billion (C$2.07 billion; all other figures in this story USD) in the second quarter, primarily because of the pending sale and restructuring of its European operations. The company recorded a loss of $770 million from discontinued operations, which include the sale of its Opel and Vauxhall operations to PSA Group of Europe. Excluding those costs, the company recorded a profit of $2.43 billion, down 11 per cent from a record second quarter in 2016. Revenue from continuing operations fell 1.1 per cent to $37 billion, mostly due to lower volumes. In North America, earnings before interest and taxes declined 7.2 per cent to $3.48 billion, also due to a decline in sales of 110,000 units, or 11 per cent, to 894,000 vehicles sold. While the automaker doesn’t break out Canadian earnings, total sales to customers north of the border rose 18 per cent from a year earlier to 89,248. Canadian superlatives for the quarter included best April since 2008 and best June since 2009. 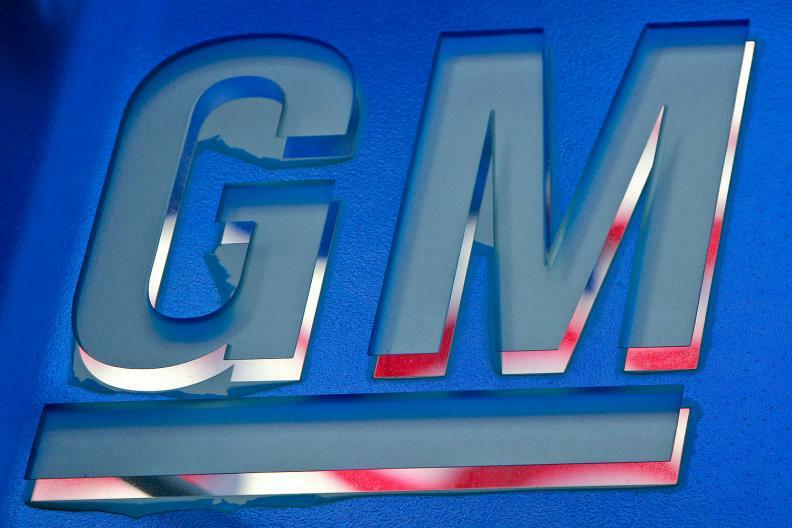 GM's continuing operations topped Wall Street estimates for a ninth consecutive quarter. The earnings were equal to $1.89 a share, compared with a projection of $1.69. "Disciplined and relentless focus on improving our business performance led to a strong quarter and very solid first half of the year," GM CEO Mary Barra said in a statement. "We will continue transforming GM to capitalize on growth opportunities and deliver even more value for our shareholders." GM delivered 2.3 million vehicles in the second quarter, down slightly from about 2.4 million a year ago. The company reported a 10 per cent profit margin for its “continuing operations,” based on adjusted earnings before interest and taxes of $3.7 billion, including 12.2 per cent margins in North America. GM CFO Chuck Stevens said the company expects to build 150,000 fewer vehicles in the second half of the year than in the first. That would amount to a 15 per cent decline versus the second half of 2016, when it built 1.9 million vehicles, according to estimates from the Automotive News Data Center. Stevens said light-duty pickups account for roughly 40,000 of the 150,000 lost units, as GM shuts down the plants that build them to retool for an upcoming redesign. The company has scheduled a total of at least 13 weeks of product launch-related downtime at its pickup and crossover plants in the second half of the year. GM has said it deliberately built up stocks to prepare for several plant shutdowns planned this year for retooling. But instead of the 90-day supply it had targeted at mid-year, it had a 105-day supply as of June 30. The company, according to Stevens, remains on track to reach a roughly 70-day supply by year’s end. “Clearly second-half production is going to be lower than the first half because of the downtime that we anticipated, and clearly second half earnings are going to be lower than the first half, which is totally consistent with the guidance we provided earlier this year,” he said. GM, Stevens said, has not changed its guidance for the year that earnings would be $6 to $6.50 per share. First-half earnings were equal to $3.64 per share. Stevens declined to comment on media reports, including Automotive News, that the company plans to cut some passenger cars from its North American lineup in the coming years. GM’s international operations, which include China, posted pretax earnings of $340 million, 79 per cent more than the same period a year ago. It reduced losses in South America by 81 per cent, to $23 million. The company’s financial arm recorded net income of $50 million in the second quarter, down $203 million from a year ago due to a $209 million loss from discontinued operations -- primarily Europe. Without that loss, GM Financial would have recorded net income of $259 million, up 25 per cent from a year ago. The sale of its European operations remains on track to close by the end of the year, according to Stevens. The company is expected to experience a special charge of about $5.5 billion when the deal closes.